DEM manages the 28 outdoor warning sirens that are located in parks throughout Fayette County and in the downtown area. These sirens serve to warn citizens who are outdoors that there is a hazardous weather watch or warning, a hazardous chemical spill, or a Chemical Stockpile Emergency Preparedness Program incident. The map below (click the image for a larger version) shows the locations of these sirens. 1. Why are they called outdoor warning sirens? The sirens are called outdoor warning sirens because their primary purpose is to alert people who are outside to severe weather, chemical, or other emergencies. While you may be able to hear the siren inside your house, this is not the primary function of the outdoor warning siren. 2. What should I do if I hear an outdoor warning siren? If you hear an outdoor warning siren, you should seek shelter inside immediately. Once inside, you should turn on a television or radio to find out further information. Local officials will be disseminating information about the emergency through these outlets. 3. When should I expect to hear an outdoor warning siren? The outdoor warning sirens are tested on the first Wednesday of each month. During January, April, July, and October the sirens are tested at 11:40 a.m. During February, May, August, and November they are tested at 7:10 p.m. During March, June, September, and December they are strong tested at 3:10 a.m. The sirens produce a loud wail sound followed by a public address announcing the test. In addition, the sirens are “quiet tested” once a week to make sure they are working properly. Severe Thunderstorm Warning: The National Weather Service has issued a Severe Thunderstorm Warning for the Lexington/Fayette County area from (start time) to (end time). Proceed to a safe location immediately. Tornado Watch: The National Weather Service has issued a Tornado Watch for the Lexington/Fayette County area from (start time) to (end time). Proceed to a safe location immediately and tune to your local radio, television station, or NOAA weather radio for more information. Tornado Warning: The National Weather Service has issued a Tornado Warning for the Lexington/Fayette County area. This tornado warning is in effect until (end time). Proceed to a safe location immediately. Chemical Emergency (Shelter-In-Place): Because of (type of incident) all persons in (name of park) should take shelter indoors immediately. Remain indoors until further notice. Chemical Emergency (Shelter-In-Place All Clear): This is to inform you that the previous shelter-in-place is now deemed to be all clear. You may resume your normal activities. Chemical Emergency (Evacuation): Because of (type of incident) an evacuation has been ordered for the area of (identity of area by streets, subdivision, buildings, or other geographical features). All persons within this area are to leave immediately. This evacuation is necessary to protect your health and safety. The recommended evacuation routes are (evacuation routes). All persons are to say out of this area until further notice. Chemical Emergency (Evacuation All Clear): This is to inform you that the previous evacuation is now deemed to be all clear. You may resume your normal activities. 4. What is the range of the outdoor warning sirens? The siren wail sound can be heard for an approximate distance of ½ mile. The public address can be heard for approximately ¼ mile. Sounds can travel different distances depending on weather and other atmospheric conditions, so please remember these distances are just estimates and that the primary function of the outdoor warning sirens is to warn people who are outside of emergencies. 5. Why are all the sirens located in parks? 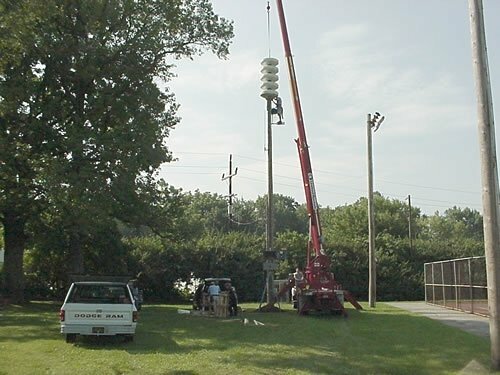 Since the primary purpose of the outdoor warning sirens is to alert people who are outside to severe weather or chemical emergencies, the sirens were placed in locations that routinely have large public outdoor gatherings like parks. 6. How do I get more information about the outdoor warning sirens? You may contact Tim Brandewie at Lexington Emergency Management – (859) 280-8080. 7. 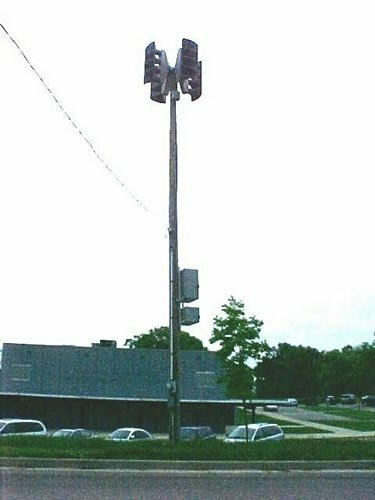 What do the outdoor warning sirens look like? We have two different types of sirens located in our parks. Both are shown in the images on this page. 8. What do the outdoor warning sirens sound like? Our main siren page contains audio files of the siren alert tones. 9. Where are the outdoor warning sirens located?